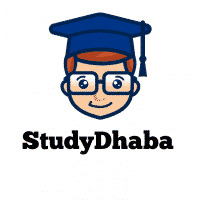 Hello friends welcome to studydhaba.com . In this Post we will tell you about Expected Salary of SBI Clerk junior Associates per month , You know SBI invited Applications for More than 17000 Posts In Junior Associates and Agriculture Associates cadre . SBI IS one of the Most Reputed and Largest Public Sector Bank In India . Getting a job In SBI Is big Task . Whether you are preparing for SBI Clerk or SBI PO . You know millions of Students apply for these Posts . Some of you May be confuse this time About Name of Post . Earlier SBI Recruited As Clerk But this time SBI Changed Name Of Post. But Both The Posts are of Same grade pay . SBI Want to Expand More Business in Rural Areas , Increasing customer Support and Increasing sales of product are Main Focus . But You will Be Selected as Clerk Level and Your Main task will Be Customer Support and Sales , Agriculture Related products Sales etc.